Sweet lavender aroma makes you physically and mentally relax. Sleep well with lavender aroma. The sap power wake you up comfortably! ◎Stick the non-porous face of the sap sheet on the center of the sticky side of the main sheet. 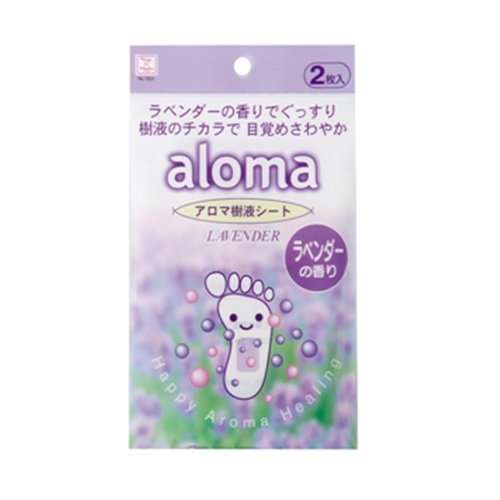 ◎Stick it to the soles of your clean feet after taking a shower. ◎Remove the sheet and rinse it with water or wipe the soles of your feet with wet towel after using it.